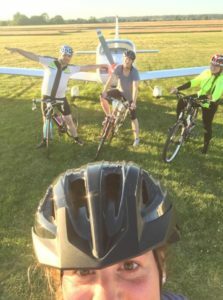 Some adventurous staff at Connaught Vets have decided to pull together and cycle 100 km for charity in October 2018. 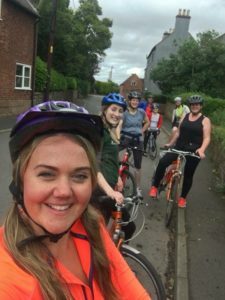 Our training rides started in June and there have been a lot of blood, sweat, tears and ‘refreshment’ stops in getting us fit enough to cycle 62 miles – and we’re not there yet! None of us are professional cyclists by any means, a lot of us hadn’t ridden a bike for ages (and some still probably haven’t!!) but we have the enthusiasm to get us through the challenge. Partner Andrew Mills will be keeping us under control and making sure we don’t get lost (in the pubs) on the way and Gayle Capps, Monika Mirando, Isla Trewin, Sam Rudge, Kate Glaze, Vanessa Freeman and Alison Jones (plus some family and friends) all following not so closely behind. We attended a congress where the Founder & Vice Chairman of Hounds for Heroes, Allen Parton, was key note speaker. Allen told us the incredibly moving story of how he suffered from a severe head injury on operations whilst serving in the Royal Navy in the Gulf, which left him physically and emotionally traumatised – almost beyond repair. Allen was unable to walk, speak or write and his memories had been wiped out (he was even unable to remember getting married, or the birth of his children). Allen was partnered with an assistance dog, Endal. Endal helped Allen rebuild his life; he brought back some independence and helped to save Allen’s marriage and repair his relationship with his children. Allen’s story, and his relationship with Endal really brought home to us how we should do everything we can to support those that have given up their lives to save others. What better way to do that than through animals? 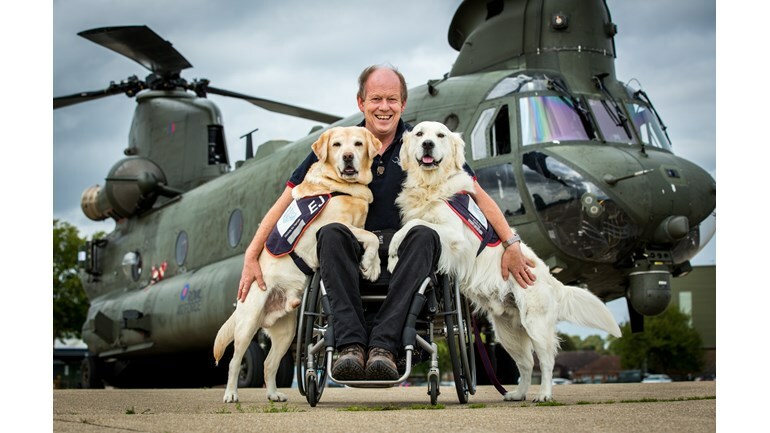 Hounds for Heroes provide specially trained assistance dogs to injured and disabled men and women of the UK Armed Forces and UK Civilian Emergency Services.